TH E M R EP O RT | 37 O R I G I NAT I O N S E R V I C I N G A NA LY T I C S S E C O N DA R Y M A R K E T DEPARTMENT ORIGINATION altisource.com Great people make us strong. 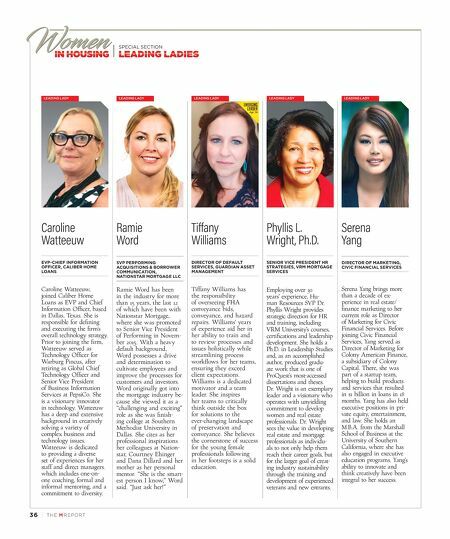 Congratulations Min Alexander Named one of MReport's 2016 "Leading Ladies" in its Women in Housing issue. Your leadership helps us win as a team. 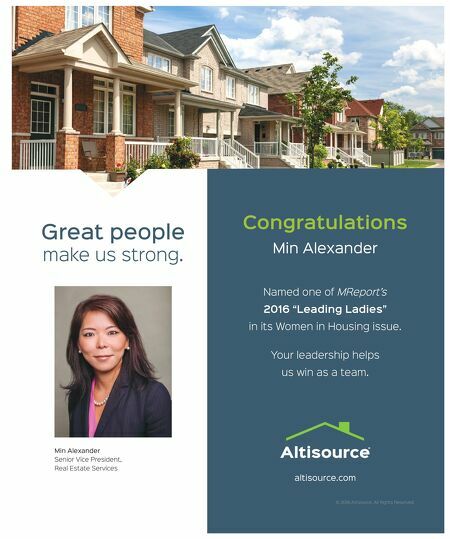 Min Alexander Senior Vice President, Real Estate Services © 2016 Altisource. All Rights Reserved.